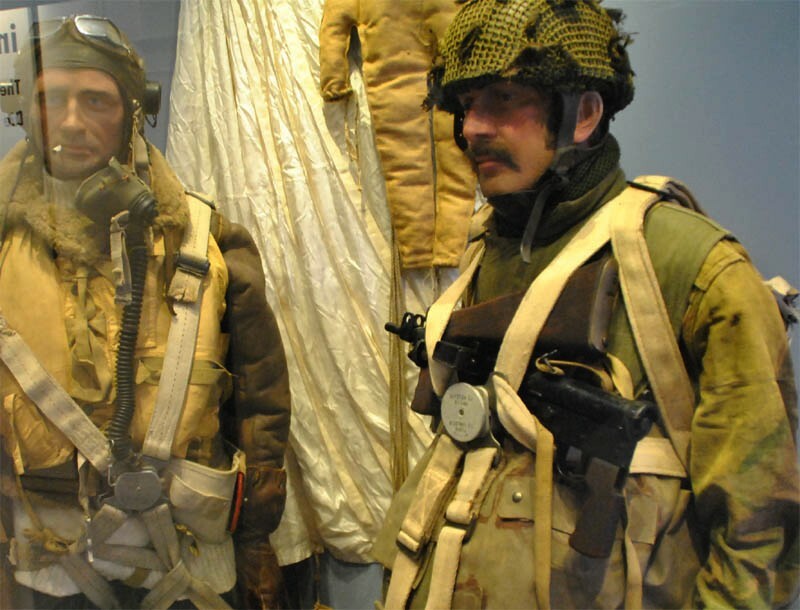 The Airborne Museum Hartenstein in Arnhem is one of the most well-known World War II museums in Holland. 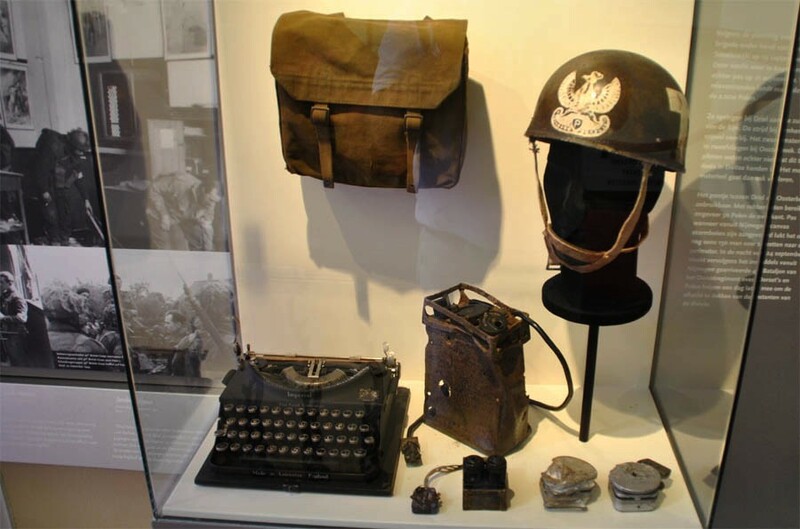 The museum is located in a building that was used as a first aid station during "Operation Market Garden" and the Battle of Arnhem in 1944. 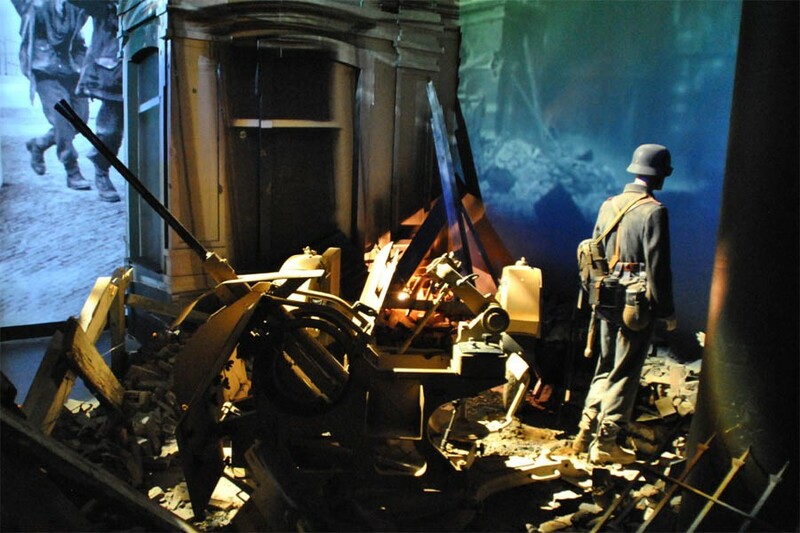 The museum has been modernized a few years ago. The museum is now much more modern, but it has unfortunately also lost some of the more "authentically" atmosphere that it had before. Some of the British World War II paratrooper uniforms displayed at the Airborne Museum Hartenstein in Arnhem. 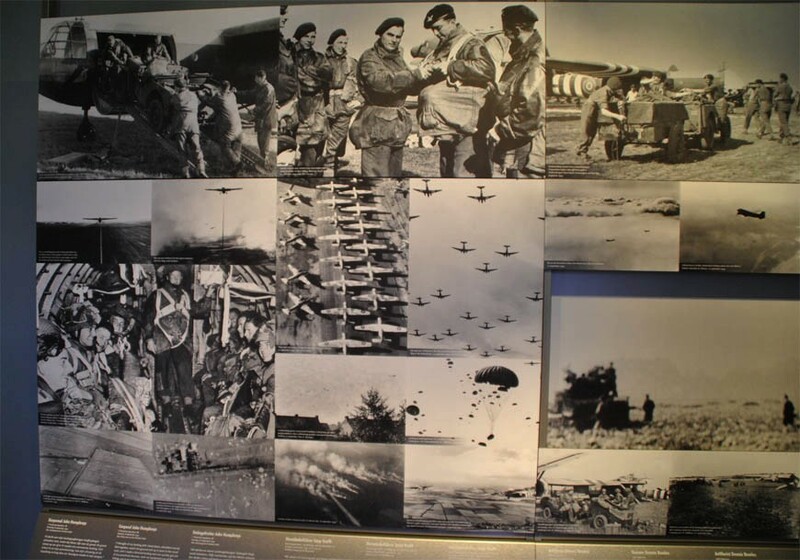 Some of the World War II paratrooper pictures displayed at the Airborne Museum Hartenstein in Arnhem. 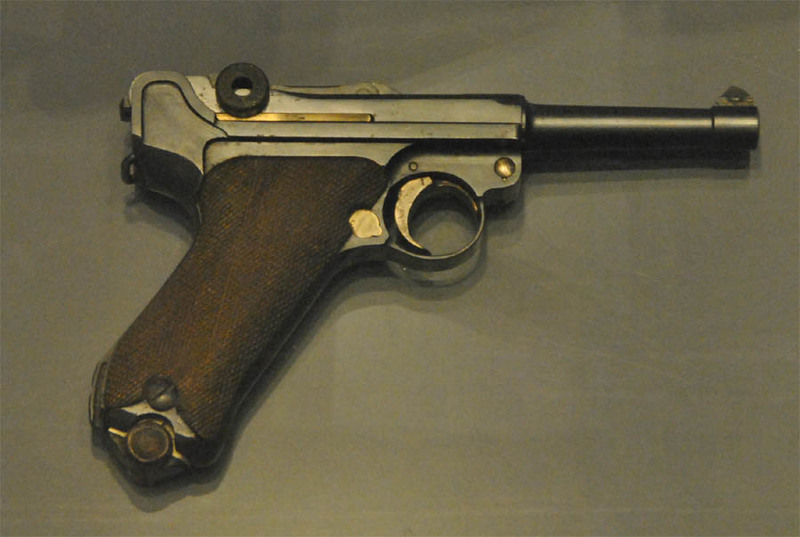 A German World War II Luger P08 pistol displayed at the Airborne Museum Hartenstein in Arnhem. 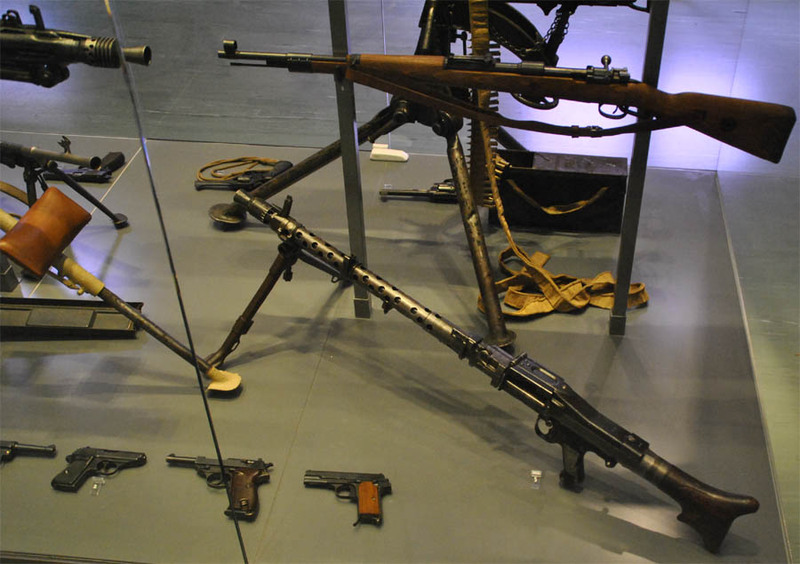 Some of the many World War II paratrooper weapons displayed at the Airborne Museum Hartenstein in Arnhem. One of the World War II full-size panoramas in the basement of the Airborne Museum Hartenstein in Arnhem. Some of the World War II communication equipment displayed at the Airborne Museum Hartenstein in Arnhem.